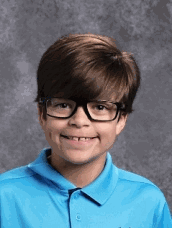 CAE's November School Board Superstar is Matthew Trahan! Matthew is in 4th grade and has always been a kid of character. On a daily basis he exemplifies trustworthiness, kindness, responsibility and respect. Congratulations Matthew!